Thank you ALL for all your sweet messages, emails and comments regarding the new blog! I am so glad everyone is loving the new layout! I am so proud of my hubby for all of his hard work on it. My favorite part of the new blog is the ‘recipe’ tab at the top. If you roll over it, you will see all of my categories such as beef, chicken, pork, casseroles, pasta, sides, desserts, marinades, dressings, sauces, slow cooker, soups and stews, holidays, Mexican, Chinese and Italian. I hope this makes it a lot easier for you to find what you are looking for. 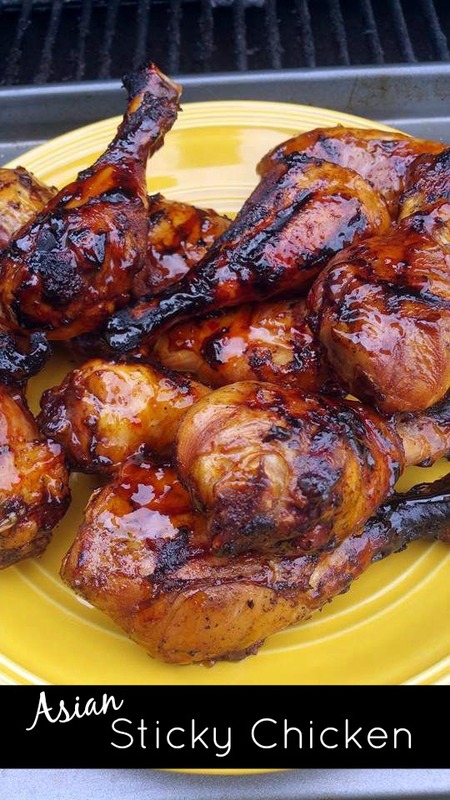 I can’t believe I didn’t have an Asian marinade on the blog before now. These are some of my absolute favorite flavors. 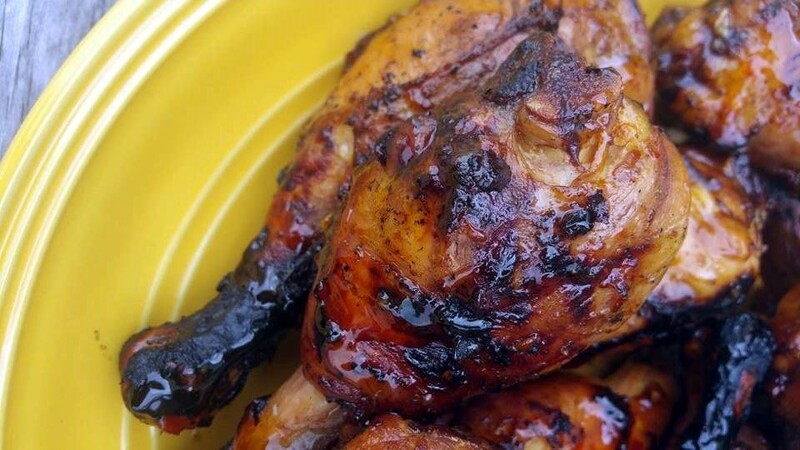 This marinade is from my sister and I hope you all give it a try because it is AMAZING! She used chicken legs but you can use any type of chicken you like! She marinates the chicken overnight in a ziplock bag and turns the bag over every time the kids open the fridge for a snack 😉 Enjoy! Combine soy sauce, brown sugar, orange juice, ginger, garlic, sesame oil, barbecue seasoning, and black pepper in a large ziplock bag. Add chicken and refrigerate overnight. (Turn the bag over every few hours) Grill and baste with the Sweet Chili Wing Sauce during the last few minutes. Sprinkle with garlic salt when done. Enjoy!